You remember those yummy biscuits they serve at Red Lobster? You know the ones that tasted so yummy you could make a meal out of just those, well I found a good gluten free recipe that tastes very close to the real deal. Try them at home and let me know your thoughts. Preheat oven to 400° F. First step is the wet ingredients for the biscuits. Mix eggs and heavy cream together, stirring until eggs are broken and everything is well blended. In a separate bowl add your 2 cups of Gluten Free Bisquick and add in cold butter using a pastry cutter or I used a large fork. Blend together until you have a coarse crumbly mixture and the butter is not visible. Add cheese into the dry mixture then add your wet ingredients until a soft dough forms. Now make the seasoned butter which makes these taste so much like the Red Lobster version. In a new bowl blend melted butter, Old Bay seasoning, garlic powder and parsley, set aside to use later. Drop the biscuits onto a cookie sheet and round the edges I used a regular spoon. Bake for about 12 minutes then take the biscuits out and brush on a thick layer of the seasoned butter then bake for an additional 3 to 5 minutes. 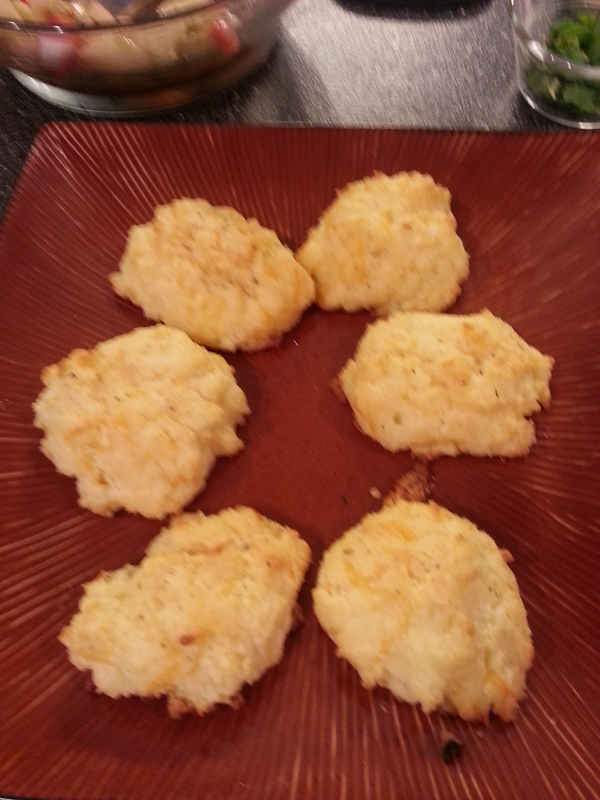 Biscuits should be a light golden brown color. This made about 22 biscuits. These are best served immediately but also delicious the next day.